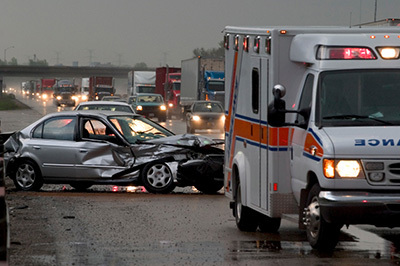 Auto Accidents | Law Offices of Alfredo J. Perez P.A. Law Offices of Alfredo J. Perez P.A. After a vehicle collision, be sure to call an auto accident attorney in Miami, Fl from The Law Offices of Alfredo J. Perez P.A. right away. Recovering from an automobile accident injury can be a difficult process. With the time spent away from work and mounting medical bills, it can be a stressful ordeal and even negatively impact your ability to heal. We pledge personal attention to every case we represent. With extensive trial experience in Miami, FL, we are ready to fight tenaciously to get you the compensation you need and deserve. We are proud of the reputation we have built in Miami, Fl. When you choose to work with our firm, we will work closely with you to ensure we collect and evaluate all the information pertaining to your case. We will review police reports, medical reports, bills, and help you assess property damage. We will then speak directly with insurance companies for full compensation. If you require additional funds to recover, we can file a lawsuit with the party at fault and negotiate a settlement. If necessary, we will take your case to court. Alongside our vehicle collision representation, we also offer advice on malpractice and workers compensation claims. Contact an auto accident attorney in Miami, Fl at The Law Offices of Alfredo J. Perez P.A. following an incident. Schedule an appointment today to protect your legal rights. We offer free initial consultations and case evaluations to discuss your case and your requirements without commitment. We are also mindful that your injury may decrease your mobility. That is why we offer at-home consultations in Miami, FL, if necessary. We strive to make it easy for you to consult with your lawyer at your utmost convenience. FREE CASE EVALUATION CONTACT US TODAY! South Florida, the Florida Keys, Central Florida, and Northern Florida; Miami Dade, Duval, Leon, Marion, Orange, Hillsborough, Pinellas, Palm Beach, Lee, Collier, Monroe and Broward counties; and cities and communities such as Tallahassee, Jacksonville, Ocala, Orlando, Tampa, St. Petersburg, Clearwater, Fort Myers, Naples, West Palm Beach, Boca Raton, Fort Lauderdale, Hollywood, Miramar, North Miami Beach, Miami Beach, Hialeah, Coral Gables, Coconut Grove, Pinecrest, Kendall, Homestead, Key Biscayne and Weston.